Urban Threads Home Decor is a drapery and bedding boutique owned by Interior Designer Jane O’Donoghue so you know their stuff will be awesome! I have had the privilege of knowing Jane through local Decorator show houses and can attest to their impeccable style. Continuing my Spotlight Series, I've focused this post on one of my designers, Paula Henry of Simply Put Interiors. We've done several projects together, many of which have been Decorator Show Houses. What do you do? I make people cry happy tears and want to hug me. I am a Decorator and pride myself on “hearing” and respecting my client’s goals and lifestyles. When a project is complete, it is not uncommon for the tears to flow and for me to get hugs of thanks. BSO Show House 2013 "Cozy Corner"
-How did you get started in this field? Decorating has been a life-long passion of mine. I decided to take it from casual designing for family and friends to a career after selling another business. I was involved in Real Estate management for many years and also owned my own business. I founded Simply Put Interiors, Inc. in 2006. -what does your business offer clients? Simply Put Interiors is a full service Interior Decorating company. You can hire us for an hour just to get you started or to design and manage large projects. We are your one-stop shop for floors, ceilings, window treatments, walls and everything in between! -What is the most challenging part of your job? Getting my client’s to envision the final design plan from the early stages and convincing them not to get too far ahead of themselves. Once they learn to trust me and accept my guidance, it is usually a pretty smooth sail. -What do you enjoy most? That is hard to say because there is such a range to the services we offer and I enjoy them all. Re-Designs are probably the most rewarding because I use primarily what my client already owns to create a brand new look. -What adjustments have you made to your business to keep up with the changing economy? Honestly, I can’t think of any remarkable adjustments. I have always been cognizent of budgets and goals. -What makes a good client? It is important to have a good working relationship. I want my clients to feel like I understand them and with that comes trust. So, a client who trusts me to accomplish their goals. I normally meet with my client’s in their homes or offices. -How do we get in touch with you? Urban Threads Home Decor is a drapery and bedding boutique owned by Interior Designer Jane O’Donoghue so you know their stuff will be awesome! I have had the privilege of knowing Jane through local Decorator show houses and can attest to their impeccable style. Jane O'Donoghue opened Urban Threads first in Ellicott City and now have just relocated to a great space in The Shops At Kenilworth, right next to Trader Joes. "Urban Threads specialize in ready-made products that are unique, affordable, and designer based, offering beautiful and unusual items for your home. Our bedding is mostly washable and varies in style from elegant to bohemian. Our drapery panels are fabulous linen, silk, burlap and embroidered." "What makes Urban Threads different from other stores is that it is owned and operated by myself. I am an interior decorator and have often shopped retail for my design projects. From the sheer frustration of not finding affordable design oriented items, the idea of Urban Threads was born. We assist with any project or design dilemma that you might have in your home. We love to throw pillows around with drapery panels and duvets, creating a look that is uniquely yours. Even if you are only looking to change out your sofa pillows for the season, you’re sure to find something to refresh your room." "Local shoppers are yearning for some great resources for home interiors and our merchandise and our price points match the style and pocket book of our local customers. We also have savvy and sophisticated women here that are exposed to great style from Pinterest and HGTV and they are looking for a place to buy those products, where they can see them, touch them, and where they can get great ideas." So waaay back in 2008 when I was working on my first Historic Ellicott City Decorator Showhouse (where I begged to do a space :) ) I met the lovely and talented Patty Filas of Revisions Remodeling. Since then I've worked with them on some of their projects and had them redo our bathroom. (Mikey insisted that the 1950's pink and grey tile had to go.) 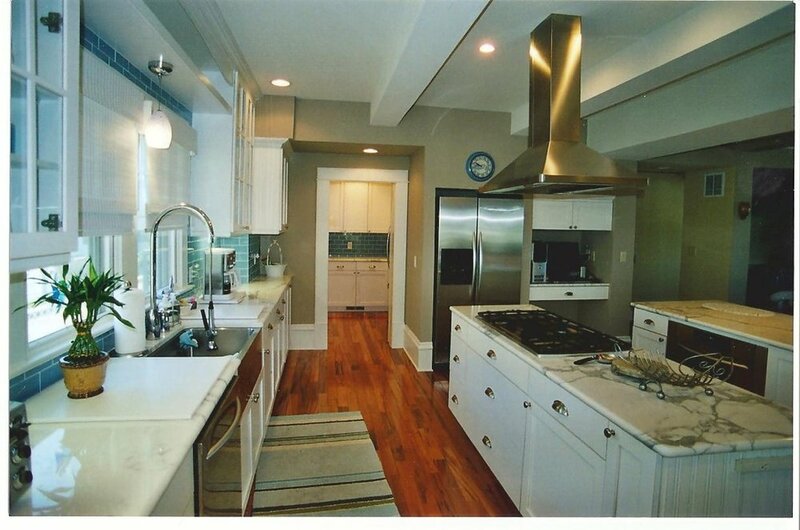 Read more about Patty and what Revisions Remodeling is all about. A kitchen hood I painted for one of their clients. 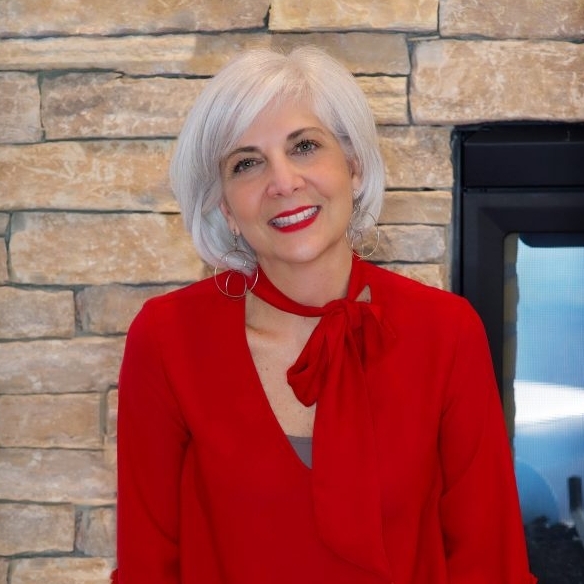 I, Patricia Daly Filas, am a Certififed Designer by the National Kitchen and Bath Association as well as an Architectural Designer and a licensed Contractor. 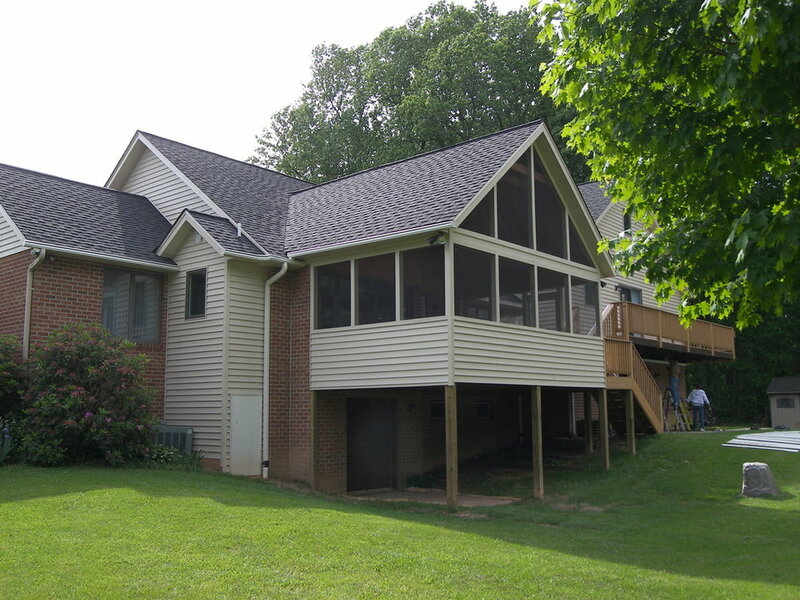 I have proudly been working with Revisions Remodeling for over twenty years. 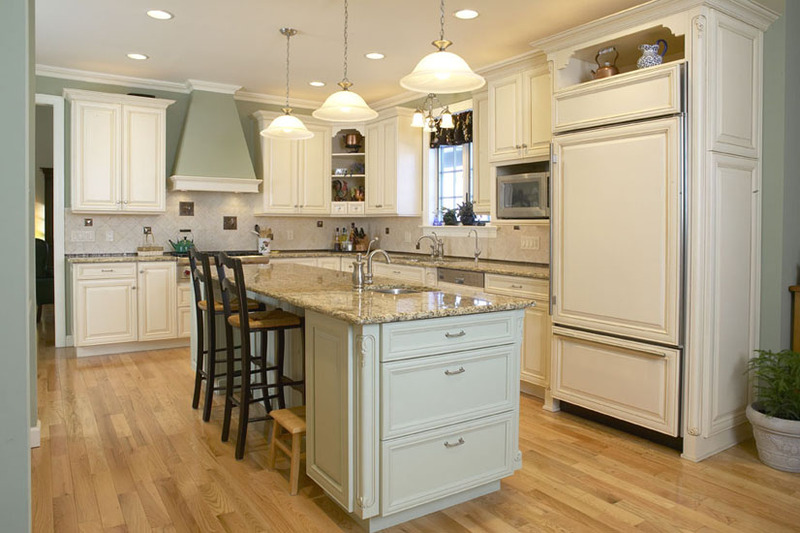 We specialize in all areas of remodeling, especially kitchens, baths, and additions. Our focus at Revisions is Kitchens, Baths, Additions, Home Modifications, and Historic properties-How did you get started in this field? I got started in this field through education. My background is art history, architecture and accounting. Dann Cummings, the owner, has a background in engineering.-What do you do? 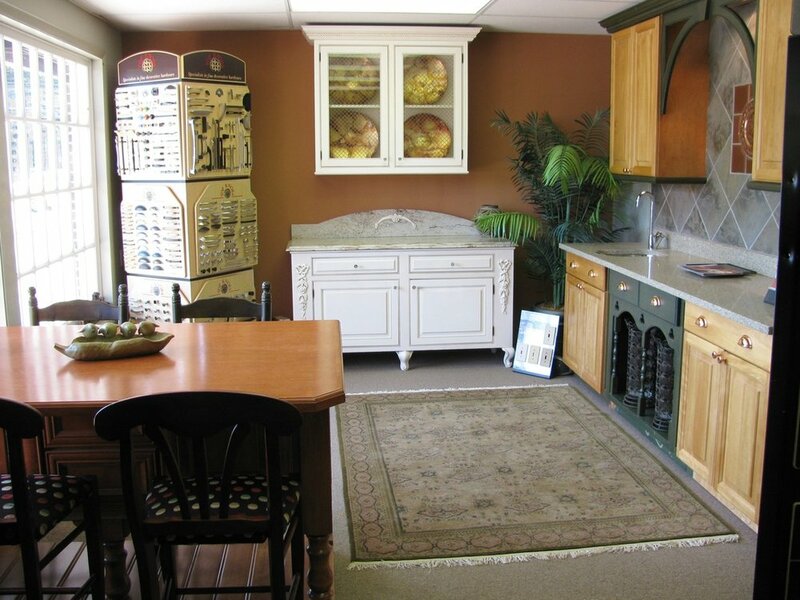 Our business is Design and Build with an established showroom in Ellicott City, Maryland. We offer all architectural design capabilities, engineering, planning, material selections in our showroom, estimates and proposals, detailed contracts, construction management along with personalized project management, our own carpentry teams, on staff designers, and of course communications with principals and all staff. The most challenging part of our job as designers/remodelers is reminding clients that they hired us as their professionals to guide them through this process rather than listening to comments they heard from television or the internet about products. What we enjoy most about the remodeling business is making people fall in love with their homes all over again. A truly functional home, as well as beautiful, will make a huge impact on your daily life. The biggest adjustment we have made in our business over its lifetime is reaching people through the internet. The internet is an interesting animal, you have to choose carefully. On our site we only post pictures of our own jobs (where-as many other sites buy photos) and we only recommend products we use. A good client is anyone who is involved in their project, but not so involved that they pull up a chair and watch every move - yes, we have had that happen and it makes us feel just a tad scrutinized, as you can imagine. Fortunately, we found out he was more curious and excited than fearful! 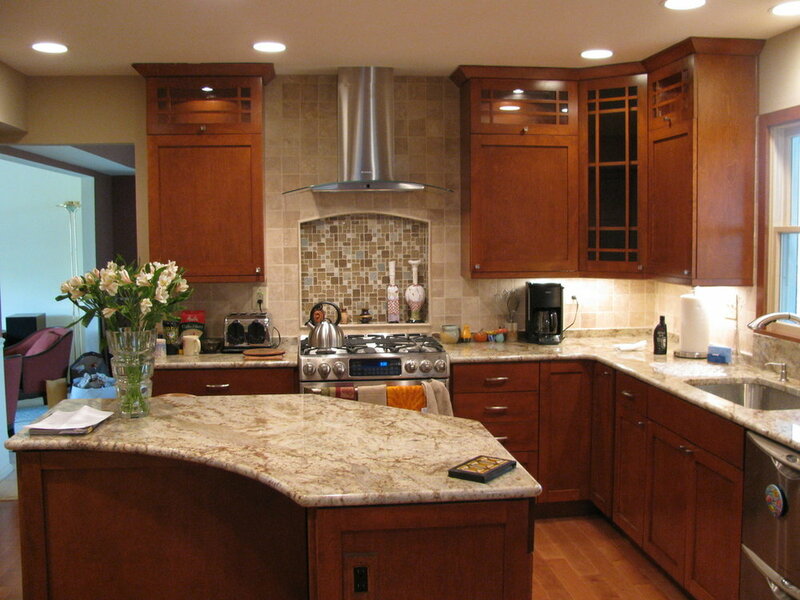 Design and Remodeling is a fairly lengthy process by the time you get to demo and installation. We always encourage new clients to visit former clients to see their projects and talk with them about the process. We also have a pre-construction meeting as well as meetings throughout the project. -What is your most interesting/challenging/awesome project so far? -Do you have a location where clients can come meet you or do you come to them? I am beginning a series on local professionals in and around the Baltimore area. If you or someone you know would like to be featured here, please forward their information! So if you were fortunate to come to my FIRST "Learn from Local Expert" series back on May 21 then you met the very talented April Force Pardoe of AFP Interiors. She gave a great presentation on how to decorate your outdoor spaces. I first met April a few years ago at a get together at a fellow designer's house. Since then I have been privileged to work with April on a few projects and am always refreshed after talking with her. She is always enthusiastic and ready for any challenge. Her work has been featured in local showhouses and in local magazines such as HerMind, Howard Magazine and the Washington Post. 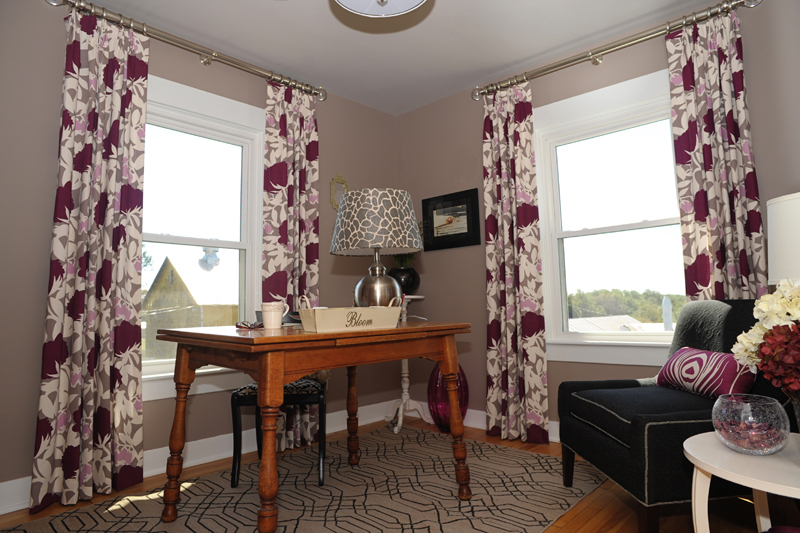 I help busy homeowners create stylish and functional rooms they are happy to come home to. I am the owner of AFP Interiors, a residential interior design company. I've always been drawn to and interested in interiors, color, decorating and design. I have a master of arts in publication design where I concentrated on graphic design. I worked as a graphic designer for years and then transitioned to event planning and design. The principals of designing on paper are very similar to designing a room. Coordinating and managing events, including laying out large public festivals and corporate events at an art museum, prepared me for managing design projects and establishing business and client relationships. From events I transitioned into designing interiors. The obvious answer is interior design services - complete room design, space plans, furnishing, art, light and window treatment selections. The real answer is that I offer peace of mind and reduce stress for my client. Clients come to me because they doubt their decisions, don't want to waste money, don't have the time it takes to design a room and don't know where or how to begin the process. I offer my clients a completed space that suits their lifestyle without the stress of completing it on their own. Running the business poses the most challenges - finding time to keep the business moving while getting clients and keeping them happy is continuous juggle. Finding the right piece for a client makes me so happy. Design involves a lot of research and when you find the "right" piece for a project it's a wonderful feeling. Ultimately that makes the client happy, which is my goal. I began my business when the economy was bad so I have not really made many adjustments. I believe that what works always works, regardless of the economy - great customer service, delivering on promises and appreciating people's time and business. A great client is someone who appreciates design, knows it's a process that takes time and is willing and able to bring in a professional because they value peace of mind, saving time and money and what a completed room will do for their life. -Do you have a location (store/studio/workshop) where clients can come meet you or do you come to them? I meet clients in their homes or at an offsite location for initial interviews. 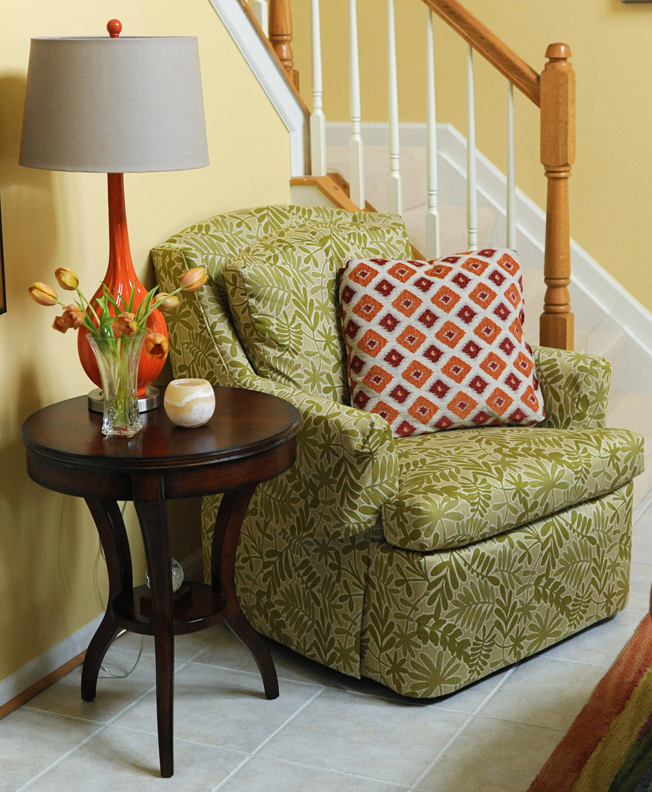 To contact April, call 410-446-6340, email april@afpinteriors.com, or go to her website, www.afpinteriors.com. Tell her I sent you!